Join us for a wonderful evening of facts, fish, fries and fundraising! Jake Taylor will be our quiz-master this time and will be testing your knowledge with a wide range of subjects! Bring a team along - maximum of 8 people and for just £12.00 per person a guaranteed fun evening will be had. And there is a bar! Doors Open (and the bar!) 1815, Quiz commences 1900, Fish and Chips served 2000 and will be finished by 2300 latest! The 2nd Diana Camidge Foundation Golf Day will take place at the wonderful Puttenham Golf Club on Friday 17th May 2019. Formed in 1894 and nestling in the picturesque foothills of the Hogs Back, the gently undulating 18-hole course at Puttenham is a mixture of heath and woodland. The tree-lined 6220 yard layout provides a wonderful test of golf and requires accurate tee shots and pin point approaches. The cost for 18 holes and 2 course supper is £250 per team of 4. Individuals welcome. Please contact John Camidge on 07768 176372 or email john.camidge@btinternet.com to book your place. Another successful evening was held celebrating the life and times of Robbie Burns. Over 100 people enjoyed a traditional Scottish feast of Soup followed by Haggis, Neeps, Tatties and the classic desert of Cranachan. The Haggis was piped into the room by Charlie Symms. The immortal memory and the customary lads and lassies toasts were well received. The evening was rounded off with a Ceilidh. Thank you to everybody who attended - we raised over £2000 for the Foundation and the 1st Finchampstead Scouts. A fantastic amount! Another excellent Quiz Night, the 4th, which raised over £600 for the Foundation and CureCJD Campaign. Thank you to everybody who attended - the event was really enjoyable and with 12 teams and over 75 people attending much fun was had! The impressive winning score of 102 was achieved by “Les Quizerables” who won by a massive 10 points! 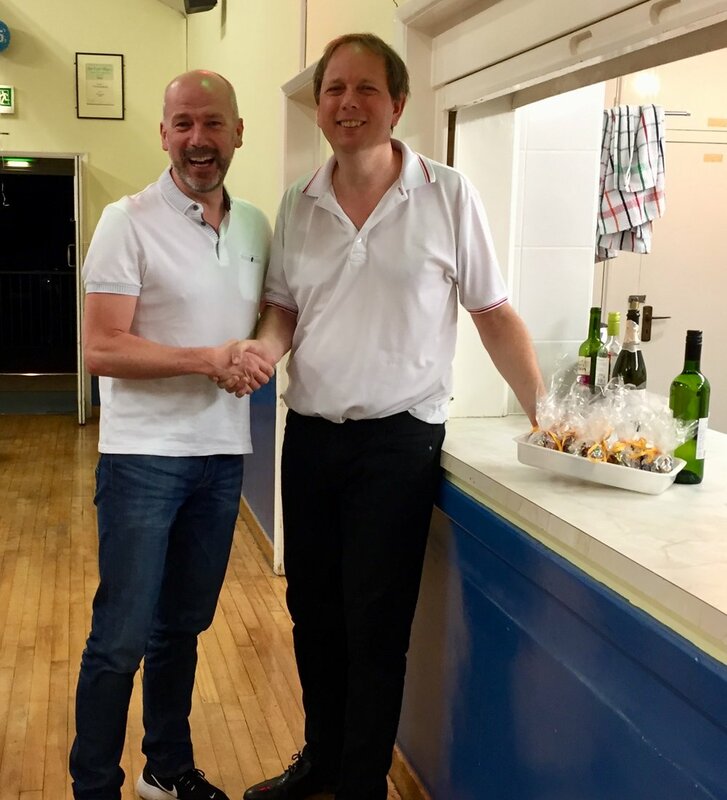 Massive thanks to Chris Burdett, quiz master extraordinary and all the team for the ongoing hard-work and dedication that made the evening such a success. The Finchampstead Cruisers Cycling Club completed their epic challenge cycling from Wokingham to Viry Chatillon in just three days! 11 Cyclists ably supported by 2 long-suffering support crew were given a terrific send off by the Mayor and other supporters as they set off from Wokingham Town Centre. Day 1 saw the team ride 70 miles heading south visiting beautiful English towns before catching the overnight ferry to Le Havre. Day 2 and the cyclists were a little apprehensive leaving Le Havre as the weather was warm and the terrain undulating! However "good speed" was achieved despite a 13 mile diversion due to a river ferry being out of service! After a good nights sleep the the final day of the challenge was tackled with the same enthusiasm and motivation as the previous two days despite the obvious tired legs and general soreness! The team made excellent progress and arrived in Viry ahead of schedule. It was a wonderful reception from the Mayor and people of the Town - we were part of a "fun day" which was taking place around the beautiful lake. We were also invited to an "official" reception where gifts were exchanged between the two towns. The Viry Mayor was extremely generous in his praise of the challenge and presented official medals to two of the team! It was a wonderful event and to-date nearly £3000 has been raised for the Foundation and the Link Visiting Scheme. Vikki swims the English Channel! We are delighted to announce that in June 2018, Vikki Wright swum The English Channel to raise funds for our Foundation! Vikki Wright has told of the "surreal" moment she reached a French beach after succeeding in a bid to swim across the English Channel. She crossed from England to France as night was starting to fall as she made it ashore to the loud cheers of about 10 French people. She said conditions were good, and she seemed to be progressing well until it appeared the tide would turn earlier than expected and suddenly the tone of her support team changed as they asked her to "dig deep" and sprint to get out of a shipping lane. 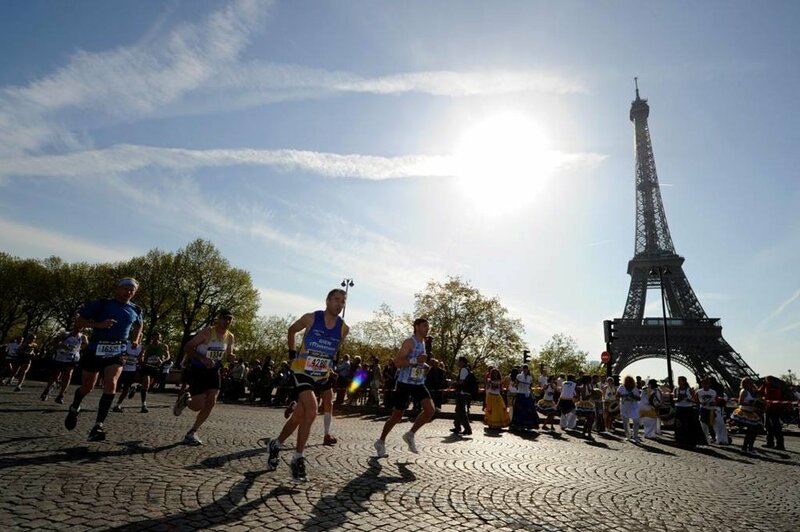 “For the first time I started to doubt I would make it to France and the thought of failure was terrifying,” she said. She said she surprised herself with what she had "left in the tank" as she did exactly as she was told and swam as hard as she could for the next two hours and managed to get to more sheltered water. But she was tired and although she could see France, it "never seemed to get any closer". Our collaborative fundraiser with The Link Visiting Scheme. and The Wokingham Walk was a great success. 20 people completed the big 20 miler - huge respect to them. Over 300 people took part in the event and all money raised via The Diana Camidge Foundation will go towards the Cure CJD Campaign. A massive “thank you” to everybody who took part in the first DCF Golf Day at the splendid East Berkshire Golf Club. We had 13 teams comprising of 50 golfers who putted , drove and chipped in aid of the Foundation. The event raised over £1500 which is an fantastic amount. It will greatly help the ongoing objective of the Foundation. Again thank you to everybody who main the event such a success. Another excellent Quiz Night raising £1100 for the Foundation and CureCJD Campaign with over 100 attending. The impressive winning score of 91 out of 120 was achieved by "7 No Trumps" with the Red Hot Chilli Quizzers close in second. Massive thanks to Chris Burdett, Chris Collins, Janet, Steve from the Frog and Wicket and all the team for the ongoing hard-work that made the evening such a success. 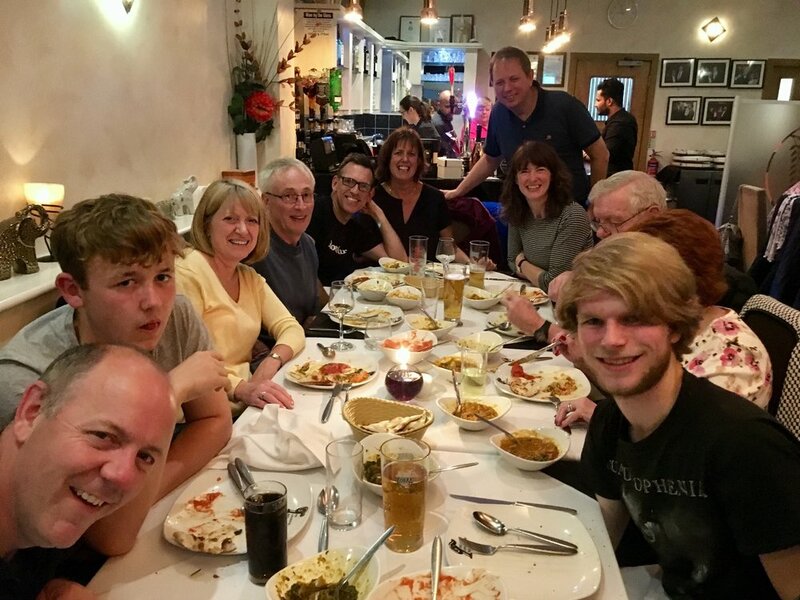 Thank you to everybody who attended the latest DCF Curry Night - wonderful food, great company and over £370 raised for the Charity! Special thanks to Lukas Sehringer for his amazing raffle ticket sales to the whole restaurant! Our latest fundraiser was a fantastic Burns Night Supper. Much fun was had celebrating the life and poetry of Robbie Burns! A traditional haggis meal was served followed by speeches and Scottish dancing. Huge thanks to Dave Judge and the team for organising this fabulous event which raised over £2000! Special thanks to Finchampstead Scouts for their support and help. A Bring and Buy Sale will be held at Diana's place of work. In memory of her on her birthday. All money raised will go towards finding a cure for GSS. A fantastic evening with 14 teams and over 100 people taking part in the 2nd DCF Quiz. 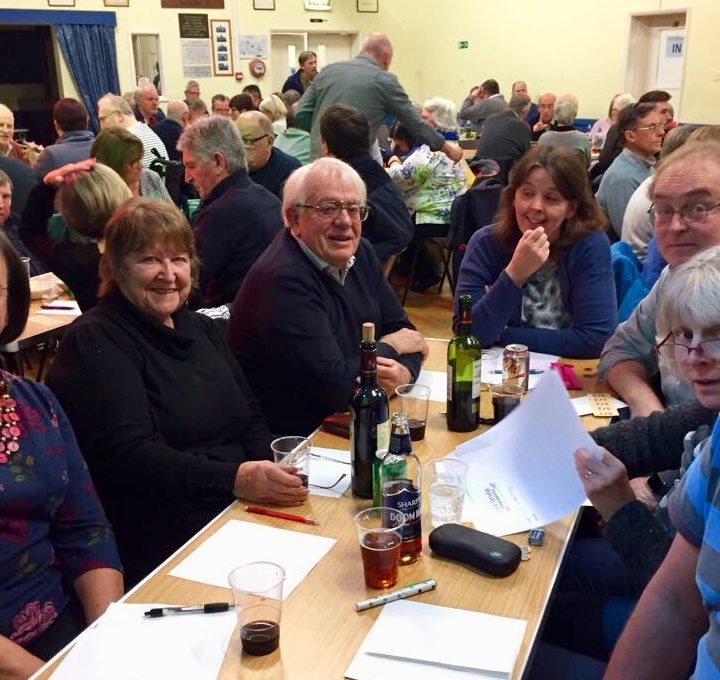 Chris Burdett was once again the Quiz Master Extraordinaire and set a wide-ranging fair test with topics from Geography, Food and Drink, Music and of course Sport! 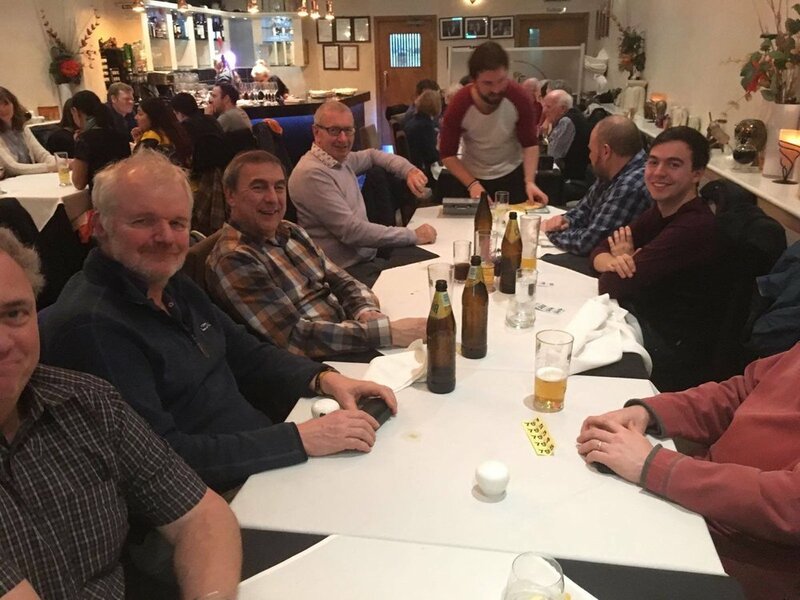 A Bar and Fish and Chip supper all helped fuel the grey matter and certainly contributed to the high scoring with the top 5 teams separated by just 8 points! Congratulations to “One Night Stand” who won the competition by just 1 point from “The Barbarians” with “Spawn of the Frog” in third place. 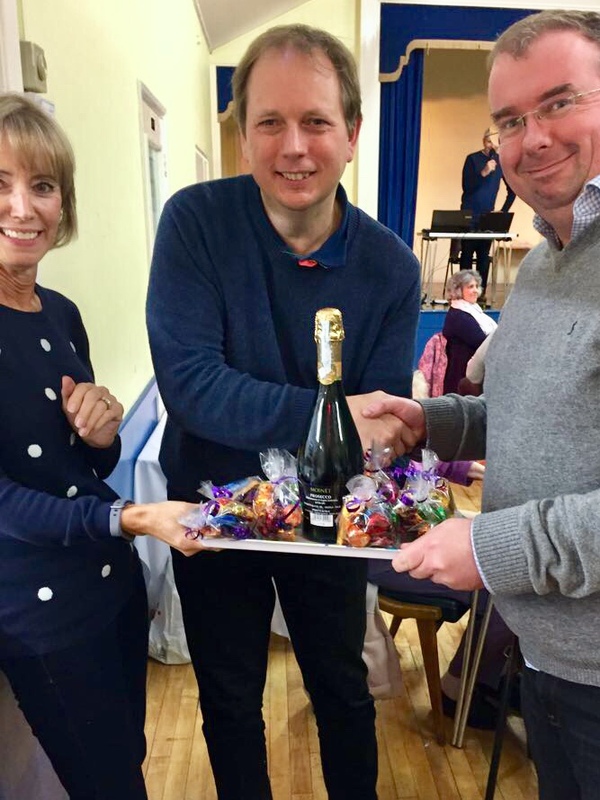 The winners received Chocolate and Fizz! A massive “thanks” to everybody who attended and made the event extremely enjoyable and successful. Together we raised £1145 for the Foundation! A wonderful amount! A wonderful evening of delicious food and good company. We raised an impressive £550! Thanks to everyone who came along. A cake sale was held at the start of the new term in the department Diana worked in at Leeds University; the institute of Psychological Sciences. This was to mark the first anniversary since she passed. Diana was a prolific baker so what a fitting way to begin the new term. Thank you to her very good friend and long-standing work colleague Fiona for organising the event. They raised £105! Diana's very dear friend Catherine walked 10 miles with close family to raise money for the Foundation. Scammonden was a very special place for Diana and her close friends so this was more than a sponsored walk; one year since we lost Diana, it was a walk full of wonderful memories too. Congratulations and thanks to Catherine for raising £370.00! Brilliant effort. To support Catherine, please do donate on her JustGiving page. A group of 15 friends will be riding round the Ijsselmeer, Holland's inland sea, over two days, to raise money for the Diana Camidge Foundation. This is a huge challenge, as the group will be cycling 90 miles each day in potentially very windy conditions! They'd really appreciate your support, whether it's homemade flapjack, words of encouragement or a little (or large!) donation. Cake Sale and "Name the Bear"
Thank you so much to Jenny Simpson and her work colleagues for hosting a Valentine's themed cake sale along with ' Name the Bear' competition. A fun day was had by all raising a fantastic £540 for the Foundation! Over 100 people joined us to celebrate the legend that is Robbie Burns and to raise monies for the Foundation and 1st Finchampstead Scouts. The guests were treated to a wonderful traditional Scottish meal of Haggies, Neaps and Tatties washed down with the finest wines. Traditional Scottish dancing followed with differing levels of expertise! A good night was enjoyed by all and the event raised £1378 for the Foundation. Thank you to everyone who came along to our fantastic Curry Evening in support of the Foundation. Almost 60 people gathered together in memory of Diana, and we raised £735! Thank you to everyone who came along to our fantastic Quiz Night in support of the Foundation. 80 people came along to enjoy a delicious fish and chip supper. Together, we raised £725! Thank you to everyone to came along to our fantastic Bring and Buy Clothing Sale in support of the Foundation. Together, we raised £300! Thank you to Fiona Croden for organising this event.